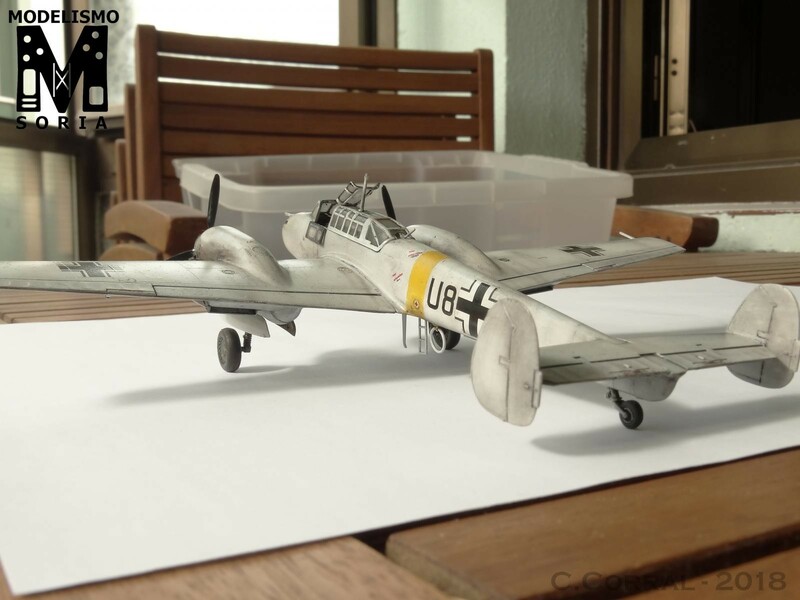 It has been a wile since I posted the last model (it’s summer, so I guess it’s normal), so here I bring to you today my last model: It’s the twin engined german heavy fighter, the Bf-110. 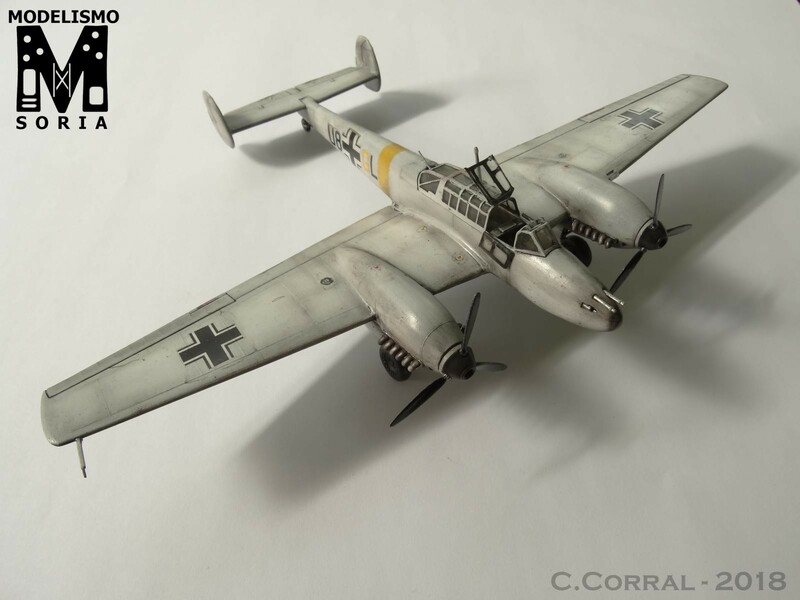 Last month I was given this model as a comission for a customer, who loves winter themed aircraft. 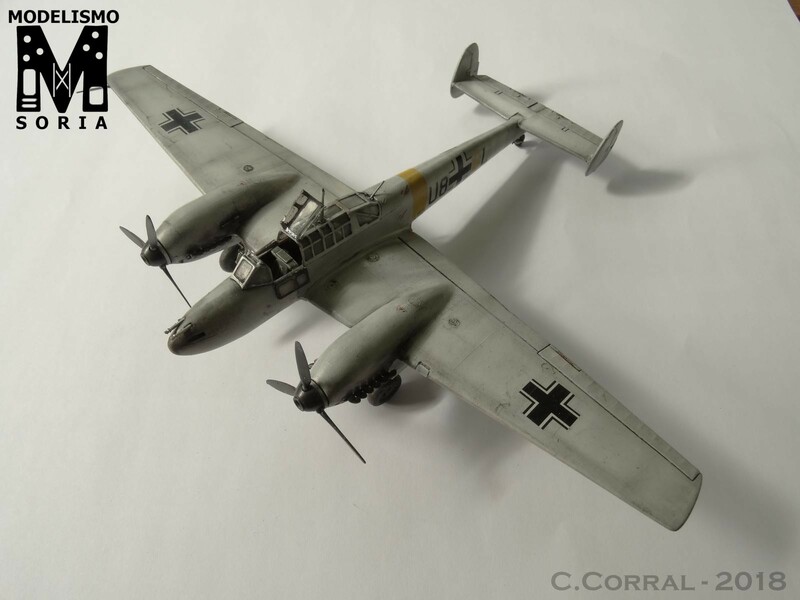 I know that the Bf-110’s C3/C4 hardly saw any action during the russian front actions, so I guess it’s not historically accurate (maybe someone knows of C3/C4’s in the russian front). The model was from Italeri, and this gave me the first warning. The model come with positive panel lines, and the customer only wanted the basic model: no modifications, only building as it is. 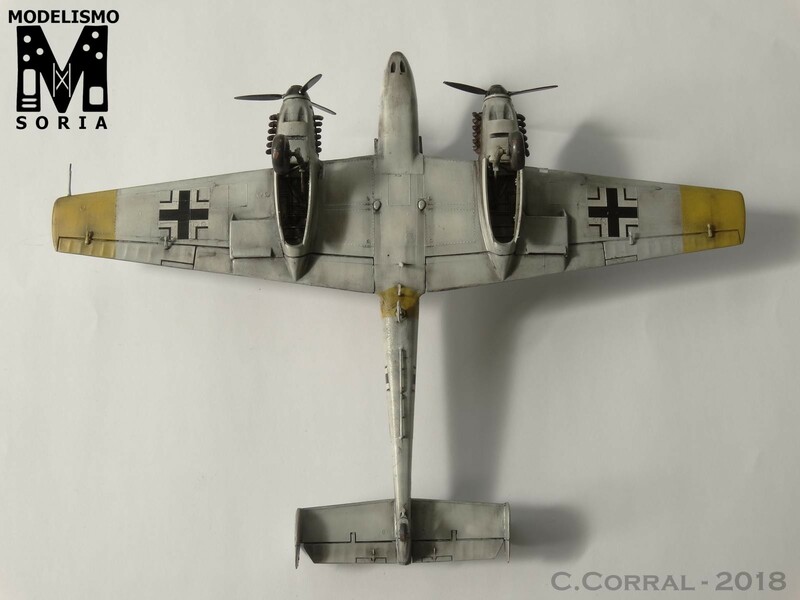 The general details are pretty good, specially in the cockpit (I have the eduard version of the 110, and the Italeri it’s very close), the landing gear comes with nice deatils too. So I started building, as usual starting with the cokpit. I told you that it’s a really nice cockpit, with a lot of details such as the radio, the gunners position, and the lateral panels. Painted it in RLM02, and weathered with a mix of black and rust washes. Next, the fuselage. It fits “nice” overall, except maybe the nose section, which needed a lot of putty to make it fit properly. The tail section fitted well. The wings were a bit problematic because the two halfs of each of them didn’t fit well in the root part, so the needed a bit of correction with a razer blade, and some putty to correct the union. Added the glass canopies (which fitted really nice in place), and prepared it to paint stage. Since it was going to be in winter camouflage, some extra dark preshading was needed in order to make the positive panel lines marked. After that, layer by layer of highly diluted white until It was good enough. Added the yellow stripe of the fuselage, and the yellow patches of the underwings, and it was ready for the next step. At this point, I sent the customer some pictures of it, and he told me “it’s really beautiful, it’s a shame it will be weathered”. I had a long (really long) conversation with the customer about it, and he let me to weather it as I like. 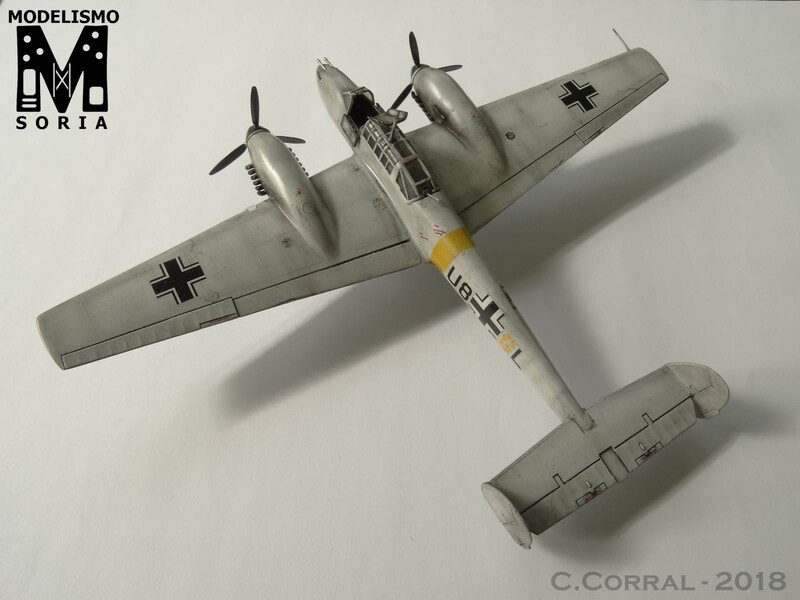 Of course, I love heavy weathered aircraft, so the decision was made. 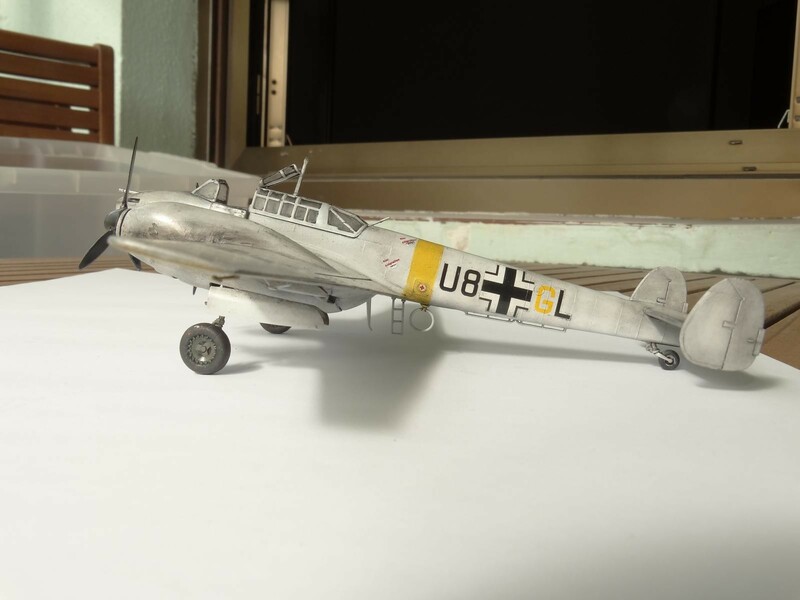 I spent a couple of weeks looking for winter schemed wwii aircraft to see the effects, and started little by little to copy them as good as I could. After adding the decals, and a protective varnish coat, I started by enhancing the panel lines with black oil, not very diluted, and letting it dry for a day or two. Then with a tissue paper started to retire the excess by pressing from the front to the back of the aircraft to make the motion effect. When it all was settled, I used black oil (this time very diluted with thinner) to create a chromatic variation in the panels. Finally, added the exhaust smoke by using black pigment, and the oil leaks with dark grey + dark brown enamel. 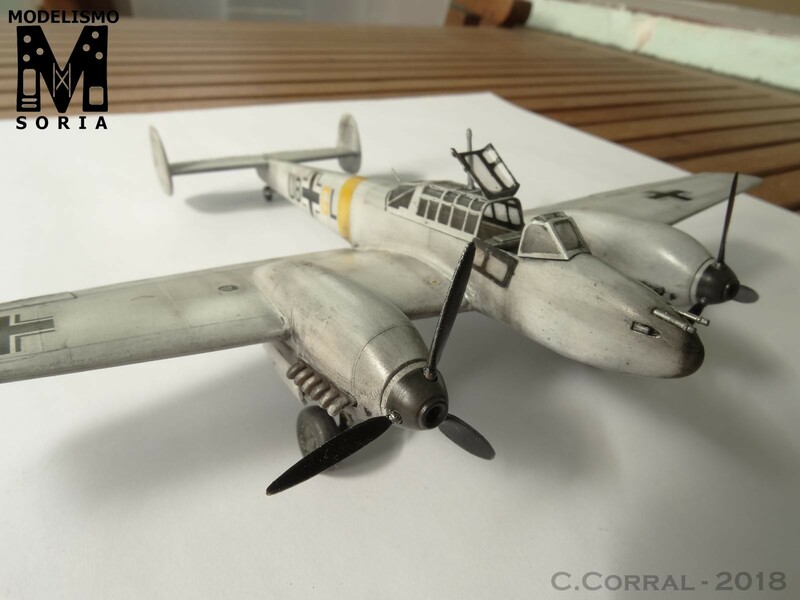 In the end, I made a really nice weathered aircraft (I know it can be better made, but it was good enough), and the customer loved it. 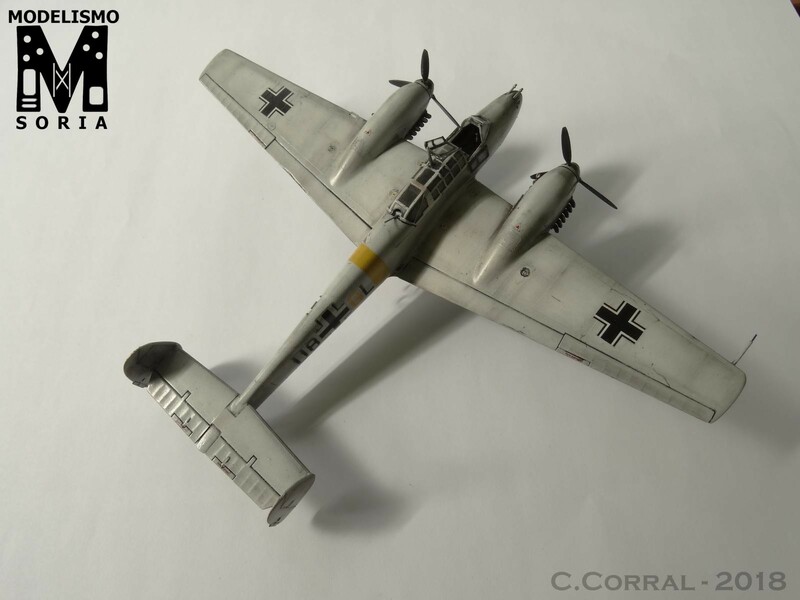 In conclussion, although it’s Italeri and it has some faults, it’s still a good bf-110 model to make. So if you have it in you stash, it’s worth checking it out. Well done, Claudio. Nice job on the winter scheme paint job….convincing. Very nice work. The winter scheme looks great too. Looks good, Claudio…I like it. I agree with what the others have said. It looks very nice indeed……………….. Thanks for sharing it with us. 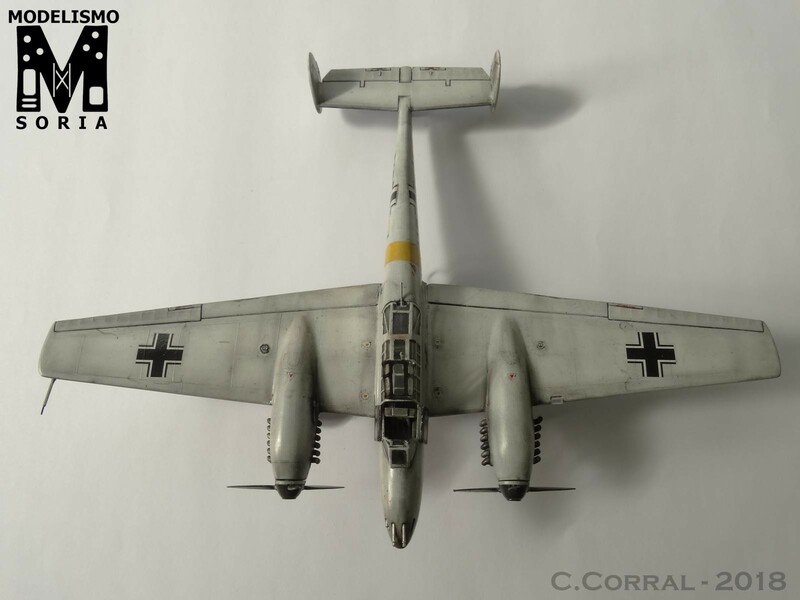 Excellent – love the winter scheme (doing one now on a Pe-2 – for the first time!). 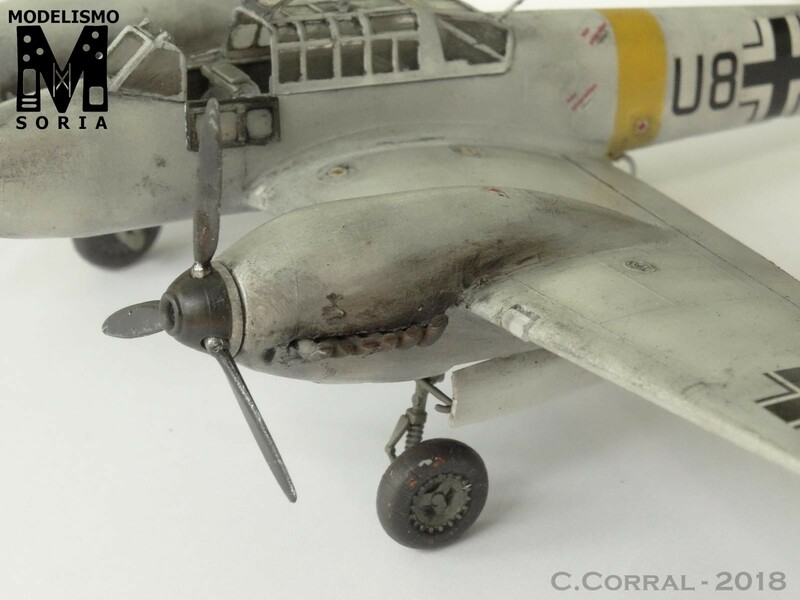 The weathering looks very nice – breaks up the monotone and a nice edge of realism.